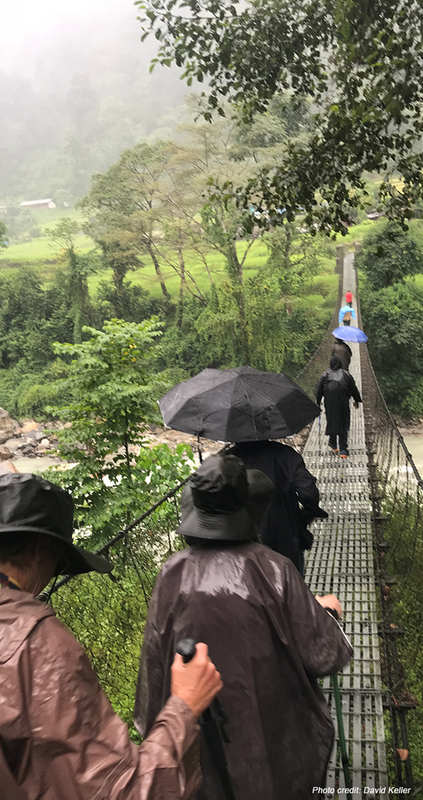 In September 2018, David Keller embarked on the journey of a lifetime with a small group of like-minded travellers, fulfilling his lifelong dream to experience India and Nepal. India – A Fusion of Colour, Music & Soul is an intimate tour exploring India’s fusion of east and west. 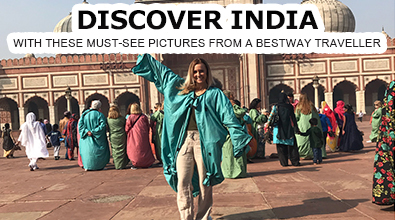 The tour is led by Paul Saltzman, a two-time Emmy Award-winning film and television producer-director who has been to India more than 60 times. The 2018 edition of the tour included a special extension to the soaring Himalayas in Nepal for the first time ever. Below, David shares his experience. This unique journey will be returning for the fifth time in September 2020. 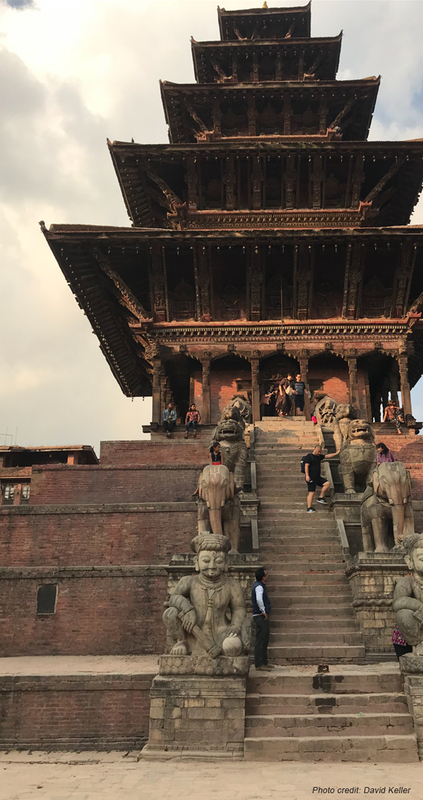 I was asked by my friend Paul Saltzman if I would take pen to paper and put down some of my thoughts about a recent trip to Nepal. By way of disclosure, Paul actually organized our Nepal trip, which followed two weeks spent in India. I’ll give you the short version. Paul was with the Beatles and the Maharishi Mahesh Yogi in Rishikesh learning Transcendental Meditation (TM) in 1968, fell in love with India, has visited India over 60 times since, and has just hosted his fourth tour to India highlighting some of the places The Beatles explored. The tour was everything this TM meditator and Beatles fan hoped for, and much more. If you are interested in India, The Beatles, or TM, I highly recommend the tour. This year, for the first time, Paul decided to add in an optional bonus trip to Nepal after the tour of India. About twenty of us did India together and about half that group continued on to Nepal. My impressions of Nepal are closely associated with my impressions of India. It was my first experience with both countries. I found there were similarities, but also distinct differences. Two things struck me immediately upon arrival at Kathmandu. The first was the topography - there were quite a bit more hills and mountains than I had seen in India. The second was that there was a good bit more space. Let me explain. 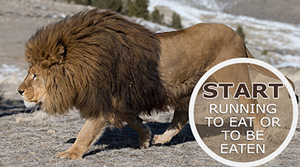 In India, there is a tremendous amount of human and animal life. People, dressed in every color and style of garb you can imagine, are everywhere, along with cows, horses, donkeys, dogs, cats, pigs, camels, goats, and monkeys. All the preceding share the sidewalks and roads with various bikes, pedestrians, motorcycles, tuk-tuks (a small three wheeled vehicle about the size of a golf cart, used as a taxi), cars, buses, pedicabs (picture something like a rickshaw but pulled by a fellow on a bicycle), and at least one home-made three-wheeled vehicle that looked like the back seat and hood of an old car being pulled by a large reconfigured lawn mower. My point is, there is human and animal life everywhere, and a lot of it. In Nepal, it isn’t like that. It was crowded in the city, but no more so than any other city I’ve been to. Kathmandu reminded me of several places I’ve seen in the Caribbean. The city proper has a population of about 1.5 million. Several of the cities we visited in India had populations ranging from six to more than 20 million. Kathmandu has a positive, healthy feel to it. Folks go about their daily activities with what seems like a sense of pride and a friendly demeanor. We stayed in a hotel called the Yak & Yeti. It was a five-star, classy establishment with excellent restaurants and beautiful shops staffed by friendly merchants. Near to our hotel, we enjoyed Durbar Marg street, where Nike and Adidas stores and Pizza Hut and KFC restaurants intermix with shops offering more local fashion and flavour. Exotic touches, such as the dozens of lit incense sticks in the ground and the scent of sandalwood, ensure you don’t forget your unfamiliar locale. A highlight was our visit to the World Heritage Site of Bhaktapur, which is fantastic. It contains a Newa kingdom royal palace and a number of Hindu temples built in pagoda style. The amazing historical complex is decorated with wood and stone statutes of Hindu deities, stylized animals and people. The area was damaged by an earthquake in 2015, so some buildings are damaged, some show cracks, and some are being restored by hand. Part of our Nepal experience was trekking in and around the foothills of the Himalayas. 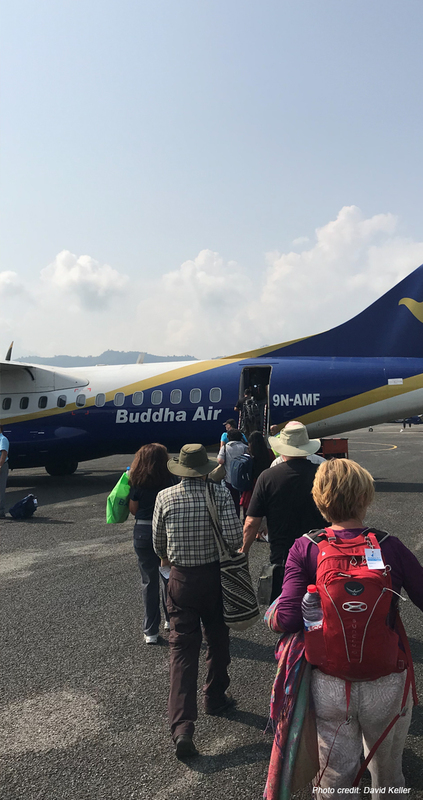 We flew on a Buddha Air propeller plane about 120 miles west to Pokhara, Nepal’s second largest city. After meeting our porters, we took a bus ride out into the foothills. Our trek that first day was about four hours, over rocky terrain, through some of the most beautiful scenery imaginable. Verdant hills and valleys of emerald green, rising and falling for thousands of feet, surrounded us as we walked up, down and around the landscape. Rice paddies, terraced hundreds of feet up the sides of the mountains, sown and harvested by hand, were everywhere. Out in the seeming middle of nowhere, we came upon a small building with a couple fellows working with wood, boring and smoothing portions of tree trunks into drums. A small mountain of wood shavings surrounded the site. They worked in the shade of an overhang, with a generator powering the mechanical equipment they used to hollow out the log pieces. The drums were beautiful when finished. It took hours to make just one, and they had dozens laying around in various stages of completion. Further on we came to a small village (very small - I’m guessing maybe 20 people lived there), called the Bee Village. Why? There were a dozen or so beehives made of wood, hung adjacently to each other up above the doorways to their lodgings, like a horizontal honeybee condo. Bees flew lazily in and out of the wooden hives, but did not bother us at all. Our local guide walked us along the one narrow path of the village and we came upon some villagers, several seniors with a couple children. They were stripping leaves off plants, possibly for cooking later, and some to use for weaving. After a short conversation with our guide in Nepalese, the villagers offered us a local home brewed drink distilled from millet. I gladly took a cup and enjoyed a flavor which was light and reminded me of sake. 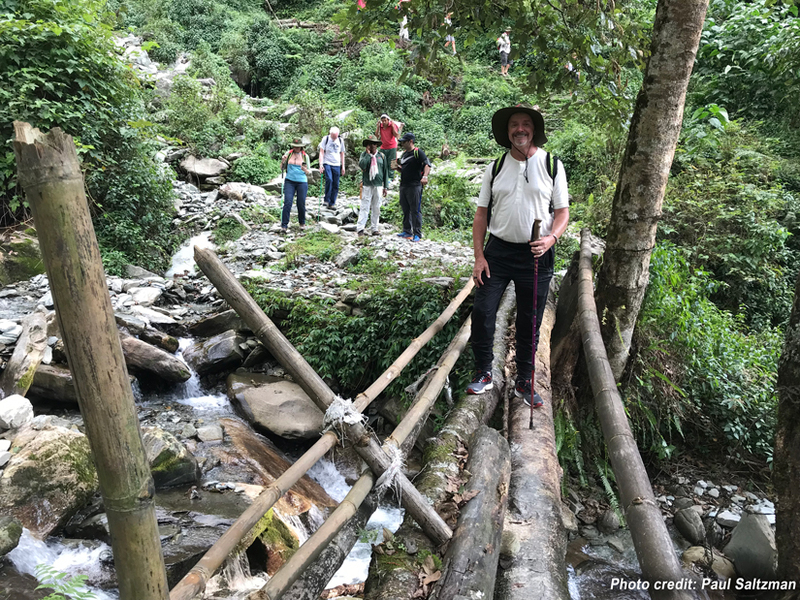 We resumed our trek shortly thereafter, continuing up and down the hills, crossing several small streams, in one instance by walking across logs simply laid over the drop to the rushing stream below, with rope “railings” on the side to help maintain balance. We decided to cross one at a time over that little bridge. We continued until we reached Ker & Downey’s Sanctuary Lodge. The lodge was simply but comfortably furnished and clean. That evening, we talked, laughed and enjoyed each other’s company the way people do after successfully facing a challenge together. 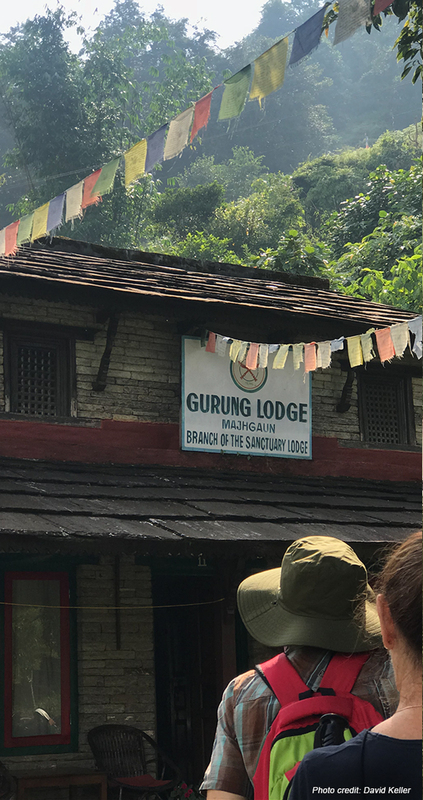 After another day of trekking, our next night took us to Ker & Downey’s Gurung Lodge, nestled into the hillside of a moderate size mountain. Each room faced the valleys and mountains to the north of us. 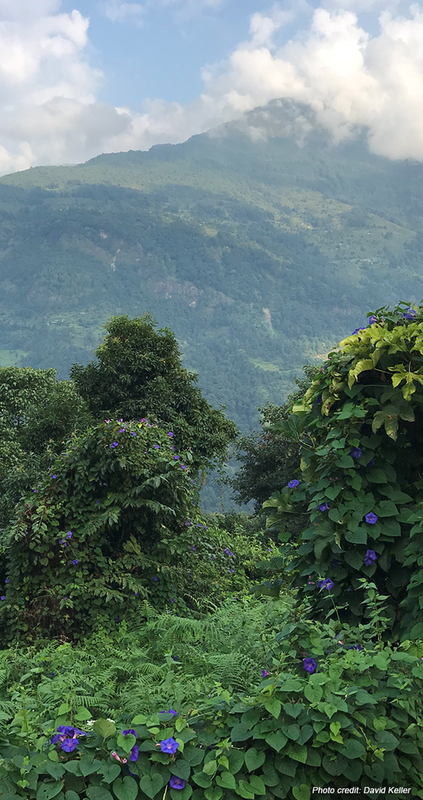 In the early morning, we awoke to find the Annapurna mountains in sight - three of the ten tallest mountains in the world. Their snow-covered peaks were well above the clouds. We all gazed in amazement. Some things are just so magnificent that pictures don’t seem to do them justice. The next day, we made our way back to Pokhara. 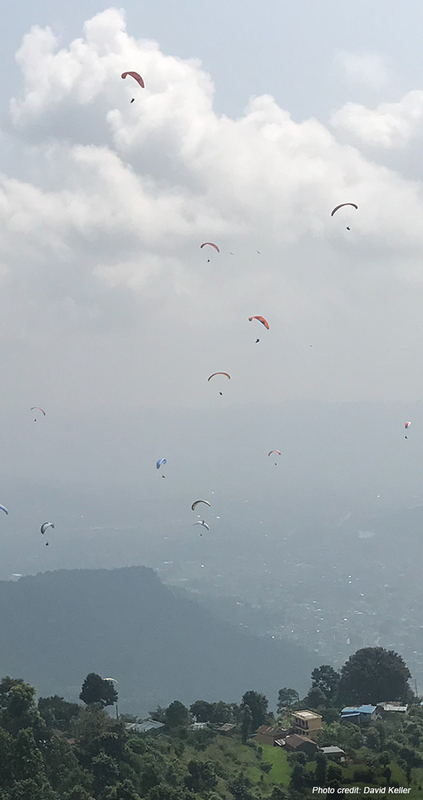 Along the way, we stopped at a place where hang gliders were taking a quick couple running steps right off a cliff, and, with the assistance of a pro sharing the glider with them, soared up into the air to glide hundreds of feet above the surrounding valleys. I counted 23 of them in the air, all bright colors, soaring and gliding gracefully over the most breathtaking view imaginable. 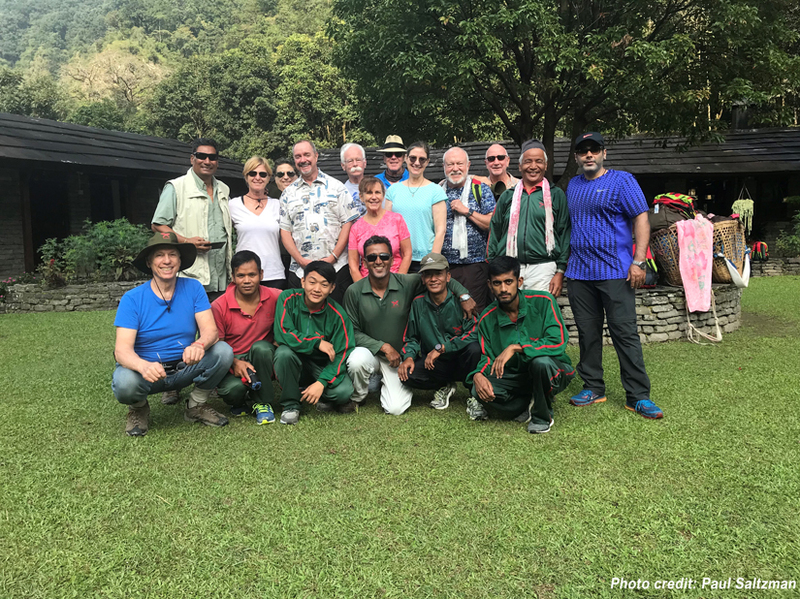 Our final time in Pokhara was filled with companionship and enjoyment as we looked back on our trekking experience with pride. We checked into our hotel, the Temple Tree Resort and Spa, then boarded a bus to take us to the Chilly Bar and Restaurant, a three story establishment situated right along side Phewa Lake. From our balcony view, we could see goats and cows grazing on the grass in the large field below us, and kids running and chasing each other in a game of tag. One boy flew a kite in the shape of a dragon, reminding me of the hand gliders we had seen earlier that afternoon - graceful, soaring and swooping. Goodbye drinks and dinner back at our hotel that evening provided the perfect end to our trip. There are a few things about Nepal that stayed with me. The majestic, incredible mountains, valleys, forests, and rice fields. The pleasant cities of Kathmandu and Pokhara, with their temples, historic sites, folks busily going about their day, shops, restaurants and traffic. But most of all, the people. 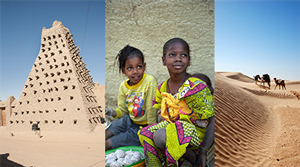 Everywhere we visited, the people emanated a sense of pride. Pride in their cities, country, and themselves. Folks walked around with their heads up and greeted each other, including visitors like us, with a friendly hello, or Namaste. And it felt like a genuine friendliness too. In shops, I would find myself having good long conversations with shopkeepers, who remained curious, interested and polite whether I made a purchase or not. That’s what I enjoyed most about Nepal –a sense of beauty, in the countryside and the people. That, and the hang gliders and kite, soaring and gliding along above all the amazing views and activity below. Learn more about Paul Saltzman’s fifth India – A Fusion of Colour, Music & Soul journey with an optional Nepal extension, departing September 17, 2020. David Keller is retired from 40 years working in budget and finance for local governments in Pennsylvania and Florida. He served on national committees on budgeting, debt management, and treasury and investment management with the Government Finance Officers Association of the United States and Canada. He was also a professional musician (bass), and was co-founder of the first reggae band in Pittsburgh that played all original music. His love of international travel began in 1979, when he visited friends on the Caribbean island of Grenada. During his stay there, a revolution occurred and the government was overthrown! Since this exciting experience, he has travelled through the United States, 13 countries in Europe, Egypt, Israel, Turkey, Canada, Mexico, Australia and New Zealand, along with more than a dozen nations in the Caribbean. Visiting India and Nepal were lifelong dreams which he finally accomplished with the help of Paul Saltzman and Bestway Tours & Safaris. Since his return home from that trip, he has been excited to accept an invitation to become a member of the Board of the Association of Performing Arts of India in Broward County, Florida, which promotes music and dance from India.